For the average person, the highlight of retiring is hanging up the boots in exchange for a life of leisure, far removed from the competitive work world. But Daron Rahlves is not the average person. Retiring from alpine ski racing at age 33 opened the door to an expansive realm of opportunities for the four-time Olympian, none of which involved lounging idly around his Truckee home. Freed from the regimented routine of World Cup racing, retirement allowed Rahlves to pursue fresh forms of competition and new adventures, with time on the side to spend with his family and play in the outdoors. Yes, Rahlves has quite enjoyed his retirement—or, as he prefers to call it, his “transition,” which he’s proud to have made on his own terms. 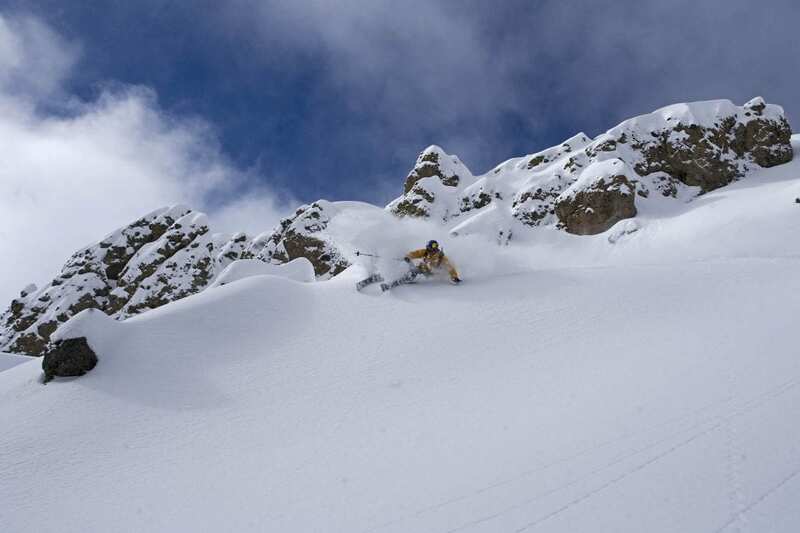 While he now describes himself as a “mellow daddy skier,” Rahlves’ version of mellow, much like his definition of retirement, differs from the average person’s. Athleticism runs in Rahlves’ DNA. His parents and grandparents all skied; his father, Dennis, also was a professional waterski jumper, setting a world record in 1965 by jumping 159 feet. Born and raised in the San Francisco Bay Area, Rahlves and his family spent summers at their second home on Clear Lake, where Rahlves participated in a variety of sports, including tennis, waterskiing, jet skiing and motocross. On winter weekends, the family drove to Tahoe to ski. That’s where Rahlves discovered his need for speed. “I had that desire to go fast from a very young age and craved that ultimate experience of shredding down the mountain,” says Rahlves, who was on skis by age 3 and, along with his sister, Shannon, competed throughout his youth on the Alpine Meadows and Squaw Valley race teams. At age 14, Rahlves enrolled at Vermont’s Green Mountain Valley School (GMVS), a college preparatory school known for producing elite U.S. alpine racers. In 1993, two years after graduating GMVS, Rahlves joined the U.S. Ski Team. His sister, who is two years younger, also attended GMVS before skiing for the University of Colorado Boulder, where she helped lead the Buffaloes to an NCAA title. Rahlves received his first World Cup start in the super G in 1994. He earned his first victory six years later in Kvitfjell, Norway, when he won the downhill on consecutive days. His results steadily improved as he gained experience and strength, which he achieved through a tireless work ethic, says Chris Brigham, a former U.S. Ski Team coach who worked with Rahlves throughout his career. In addition to countless hours of training, Rahlves made up for his relative lack of size compared to other downhill racers—he’s 5 foot 8—with a fierce drive to compete, Brigham adds. “No one else is as big a fighter. He wasn’t the best technical skier at the top end, but he made up for it by just being as competitive as he was. He was like that in every sport he did even as a kid, from jet skiing to ski racing. It didn’t matter what he was doing; he wasn’t going to be last,” says Brigham. Rahlves enjoyed much of his success in the second half of his racing career. 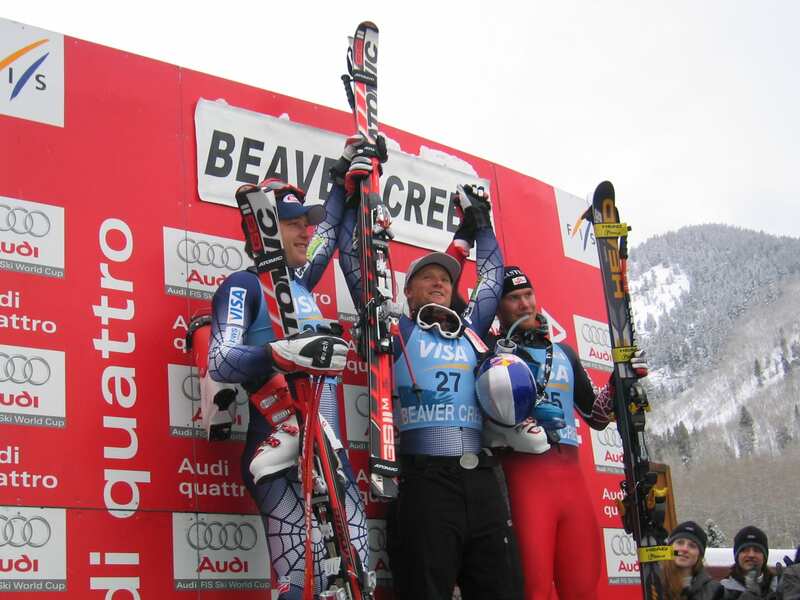 In 2003, he became the first American since Buddy Werner in 1959 to win the famously challenging Kitzbühel downhill in Austria. He finished second in the downhill standings that year, and placed second in both the downhill and super G standings in 2004, when he won four races. While Rahlves was gaining a fan following in Europe, he also was inspiring young ski racers back home in Tahoe. 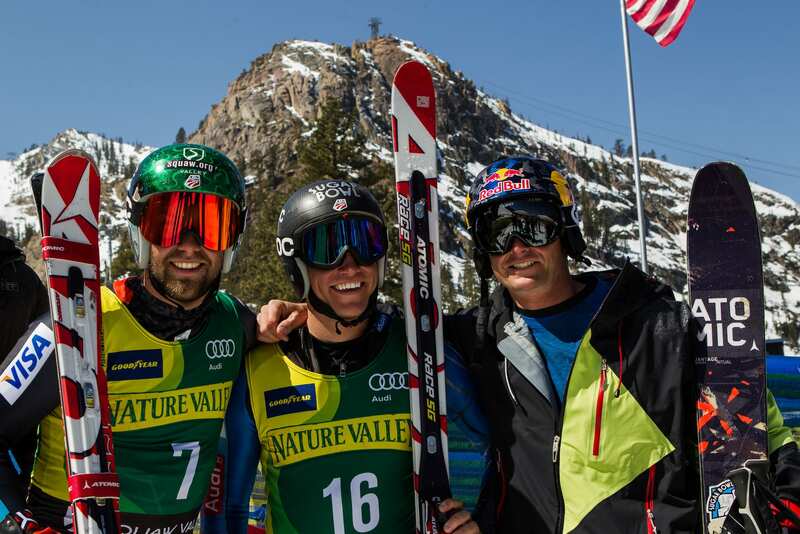 The now-retired Marco Sullivan, who grew up racing at Squaw Valley and went on to compete in three Winter Olympics, was 15 when he began to hear about Rahlves’ victories on the World Cup circuit. Rahlves began his Olympic journey at the 1998 Nagano Winter Games, where he placed seventh in the super G.
Four years later, Rahlves had considerably higher expectations entering the Salt Lake City Winter Games. He had two World Cup wins under his belt by then and was coming off a World Championship in 2001. But he finished his second Olympics with no medals. “I felt like it was pretty much mine, and I put a lot of pressure on myself. That was a hard thing. I made a tactical mistake by soaring off the first big jump [in the downhill] and lost over a second from the hang time,” says Rahlves, who placed eighth in the super G and 16th in the downhill. After stringing together the best years of his career from 2003 to 2006, Rahlves had even higher hopes for the 2006 Turin Winter Games. He won the test race on the same hill the year before, had three downhill victories that season and won the first Olympic downhill training run. “It was a good hill for me. That was my year,” he says. Within 45 seconds of getting in the starting gate, however, Rahlves switched to a different pair of skis. He placed 10th. The decision to change skis at the last minute—in his signature event—still haunts him to this day. “It was the wrong call,” he says. “It was a hard thing because the Olympics are your one chance as an American to really be in the limelight for your sport. Looking back, I wish I had stuck to my own program. That’s what I did on the World Cup. Rahlves retired from racing after the 2006 season, a campaign in which he earned three wins and was third in both the downhill and super G standings. Always up for a new challenge, Rahlves transitioned from racing to filming on the big mountains of Alaska. He filmed extensively from 2007 through 2009 with some of the most prominent companies in the industry, including Warren Miller Entertainment, Matchstick Productions and Teton Gravity Research, among others. 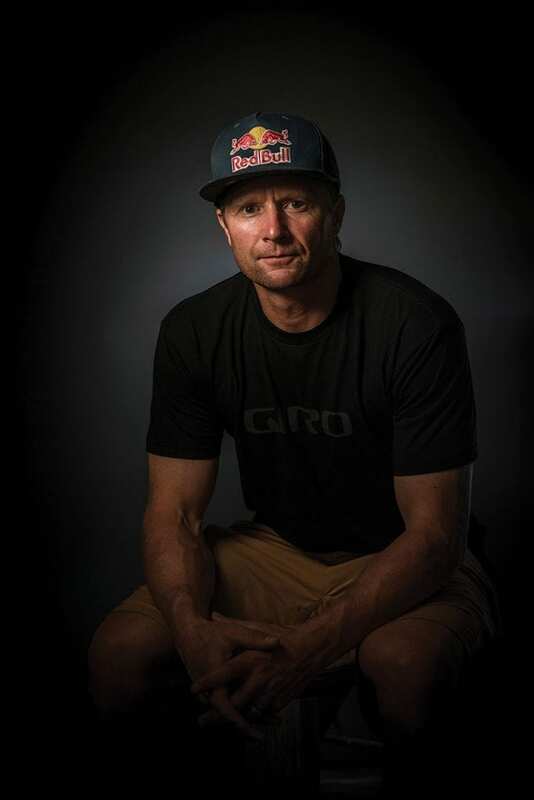 Although his racing background helped his cause—carving around gates at 90 miles per hour—freeskiing down some of the most intimidating mountains on earth was a learning experience, he concedes. “In Alaska, you can never go 100 percent off the top of the peak. You have to be really aware of what’s going on, and you’re scoping things out and seeing how things are holding up, working your way to islands of safety. So it was an eye-opener,” says Rahlves, who took notes from filming veterans such Chris Davenport, Seth Morrison and Ian McIntosh. In 2009 and again the following year, Rahlves organized the Silver Belt Banzai at Sugar Bowl, where he serves as ski ambassador at the Donner Summit resort. The event was a twist on the historic Silver Belt race held between 1940 and 1975. 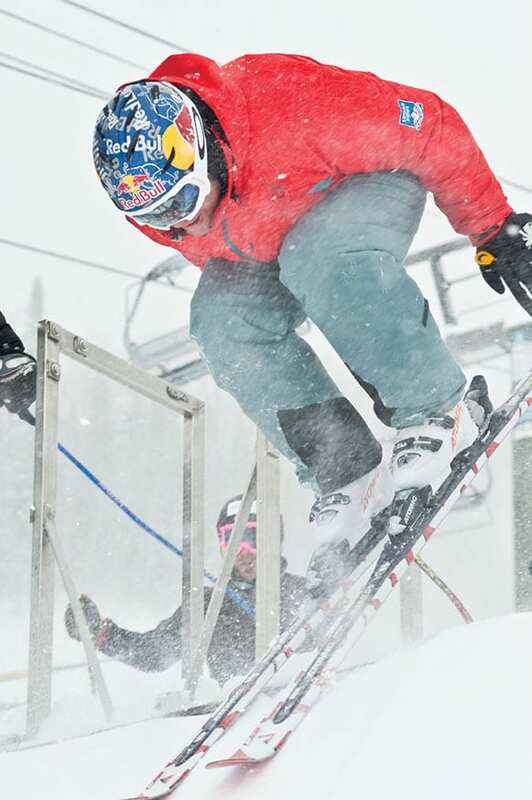 Using the same course down the natural terrain of Mount Lincoln, the Banzai race—which was backed by Rahlves’ sponsor, Red Bull—pitted six people at a time jockeying for position in a ski cross–style format. In 2011, Rahlves expanded the event into a series held at multiple Tahoe resorts. He also added snowboard and women’s divisions and continued the series through the 2016 season. “Daron Rahlves’ Banzai events are my favorite events I have ever been a part of,” says Kyle Smaine, a South Shore halfpipe skier with Olympic aspirations—and regular top contender in the Banzai races. While Rahlves organized the Banzai Tour, he also raced in it. He was never beaten. In addition to filming and running the Banzai Tour, Rahlves tried his hand at the relatively new discipline of ski cross, which was set to make its Olympic debut at the 2010 Vancouver Winter Games. “For me, there was good money there and it was fun, and it gave me a good opportunity to release some of my competitive energy,” says Rahlves, who won the men’s ski cross race at the 2008 Winter X Games. Rahlves qualified for the 2010 Olympic team, but only three weeks before the Games he dislocated his hip in a ski cross crash during the X Games. Although he was back on skis in two weeks, his goal of winning an Olympic medal was dashed when he wiped out in one of the early rounds. “So then I was like, ‘Man, maybe I’m just not cut out for any luck on the Olympic events,” he says. That’s not to say that Rahlves won’t be cheering on Tahoe’s athletes in the upcoming PyeongChang Winter Olympics in South Korea. He has high hopes for his former U.S. teammate and Squaw Valley racer Julia Mancuso, who won a gold medal in 2006, two silvers in 2010 and bronze in 2014. Rahlves is also pulling for Tahoe’s rising ski racing talents hoping to make their first Olympic team this winter, namely Bryce Bennett and Lila Lapanja. And, of course, Rahlves has his eyes on Squaw Valley speed-skiing specialist Travis Ganong, who placed fifth in the downhill in his first Olympics four years ago. In 1998, Rahlves met his future wife, Michelle, at Bear Bones Physical Therapy in Truckee. Rahlves was rehabbing a dislocated hip and Michelle—who grew up surfing in Southern California—was working the front desk and getting some knee work done herself. Their first date was a U.S. Ski Team fundraiser in San Francisco. They got married in 2003 and in 2007 had twins, Dreyson and Miley. Like their parents, the twins are athletic and participate in a variety of sports and activities, including soccer, dirt bike riding, BMX, surfing, skateboarding, waterskiing, wakeboarding and lacrosse. Dreyson and Miley began ski racing in the Tahoe League two years ago. Although they both enjoy the sport their father excelled at, Rahlves says he’s careful not to pressure them to follow in his footsteps. It’s safe to say that Rahlves does not take for granted his retirement—or “transition.” Living in Truckee, he’s able to spend ample time with his family in an idyllic setting while also continuing to pursue his passions. This winter, he plans to attend World Cup races in Kitzbühel and Beaver Creek, Colorado. 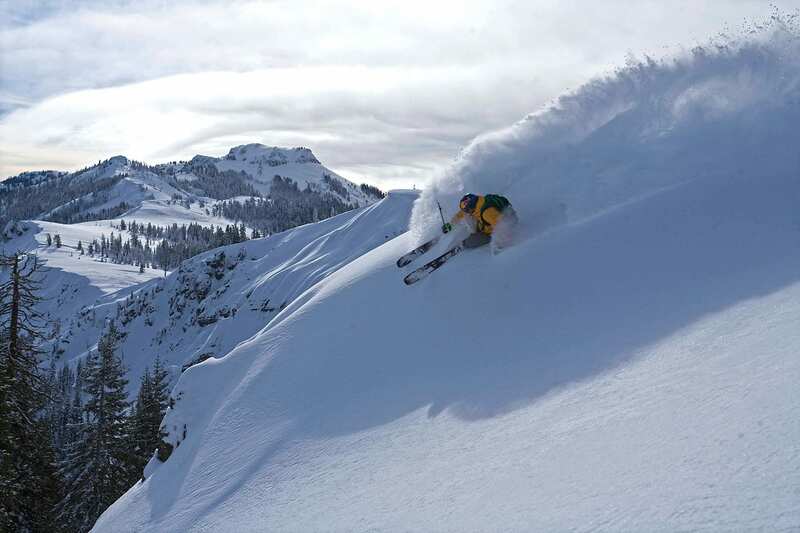 He’s also working with ski manufacturer Atomic, testing the company’s skis and boots, and will do some pacesetting at various ski races, including the NASTAR Nationals at Squaw Valley from March 23–25. “I’m still able to continue to raise a family and do what I love through skiing, which is awesome,” he says. Tahoe Quarterly intern Emma Withrow is a sophomore journalism major at Cal Poly San Luis Obispo.